Alex- Is it the truth what such approbation had place and was succesful? Alex- But why such importentest event is not known to the general public? 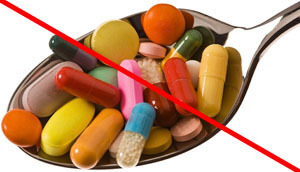 Sergey- Because tablet mafia do not want to recognize the Victory of medicinless Buteyko method! Alex- Tell us about that approbation please. Sergey- O key! Konstantin Pavlovich Buteyko had very good his disciple in Kiev. On Ukraine. It was doctor Vladimir Anatolievich Novoselov. Physycian-therapeutist. It is my very very dear big friend too... Novoselov already made very succesful approbation of Buteyko metod on irradiated patients (Chernobil sacrifices) in 1990 year in Kiev radiological Centre. And he decided to raize up his hand on Speed(AIDS) the Same!! It was very courageous step! Such step can make Novoselov only in that time... It was Februery of 1991 year. The beginning of that famous approbation. I was on that approbation already in April 1991year, when good results began. Ukrainian physicians were afraid to have affair with AIDS (Speed) patients. They thought, what virus of Speed can be received by them even on distance... So Vladimir Anatolievich said to me. They wanted to cure such patients through the little window in the closed door. It was not so easy to organize such approbation... Konstantin Pavloich Buteyko was must to write to Minister of Care of public health of Ukraine. Approbation decided to conduct on base of Institute of epidemiology of Gromashevskiy name. In Kiev. It was very difficult affair to gather AIDS (Speed) patients for that approbation!! These patients hid from of any publicity in Ukraine in winter of 1991 year... It was the big shame for any Ukrainian patient in that period of time! They gathered 14 patients with the big labour from of all Ukraine at last! It must see those people! The young women and men. But how pressed them terrible diagnosis!! " I want to fall down from of the window..."-one woman say always. France. He received speed there... And he rewarded by it her lass! " I do not know how may I live at now!!.. "-speeks that lass to doctor Novoselov. One man had very importent post in Kiev. That man was afraid that his wife wiil know about his illness.... There was one elderly woman. I shall name her Maria Ivanovna. Maria Ivanovna was the only patient from that group, which was almost glad to her disease! -What is an AIDS disease?,- she spoke . -Will think, AIDS disease... I have other problems beside that! More important. I here is presently to live nowhere! They have exposed me from of prison. But someone have occupied my room already... And you speak the AIDS disease. Here is not before AIDS disease!! It was necessary to see and to hear this lean woman on the one third floor of hospital, where terrible AIDS block fitted. It was necessary to see, how the rest participants of approbation outlived their tragedy. And only then it was possible to understand, as this aging woman sharply differs from of her own friends on misfortune. What is there some AIDS disease? Find kennel, where it is possible spend the night,- here is problem!.. Here is such different people were gathered with the whole Ukraine in group by sick AIDS disease. Strictly on scientific their name was virus carriers of the AIDS disease. That is to say beside all they had is discovered a virus of the AIDS disease. Remind else once-personally I (as representative of the Main Novosibirsk Centre Buteyko) was joined to Novoselov as watcher at April 1991. Vladimir Anatolievich himself officially worked with group by sick AIDS disease since February, but unofficial since January 1991года. So I have seen the result of the work for several monthes already. Work was done by Novoselov very big! I beforehand agreed with Vladimir Anatolievich Novoselov that I will arrive by air in Kiev at April exactly. Hereto time he already will training the group of sick AIDS disease several monthes. So I shall see already palpable result. We very greater friends with Volodia. And I from showers wanted to be glad his grandiose success. The April 19 1991 my plane landed in aeroport Boris-field. Volodya met me immediately for rack of the checking. He was in one coat. A heat was in Kiev. I with running approach dashed him to neck!